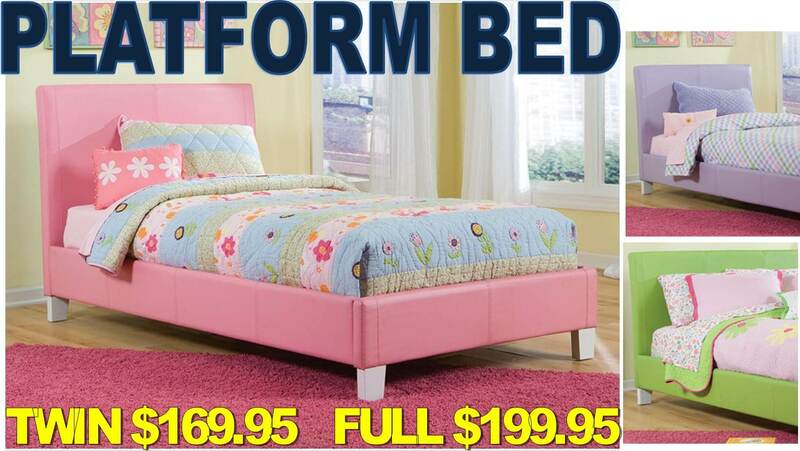 Fantasia Platform Bed’s are fully upholstered beds that add stylish pizzazz and storage options to your youth bedroom. Unique bright color sets this piece apart from the rest, and creates a clean colorful look in your room. • Clean smart design lines gives these pieces versatility, allowing them to blend with any bedroom decor. • Soft, well padded edges and corners add safety for children and durability to pieces. 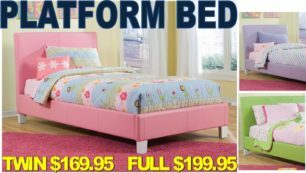 • A sturdy Euro-slat support system for bedding evenly distributes weight across the complete bed. • Ottomans and cubes offer extra storage space, plus additional seating as a bench or stool with their padded removable tops.